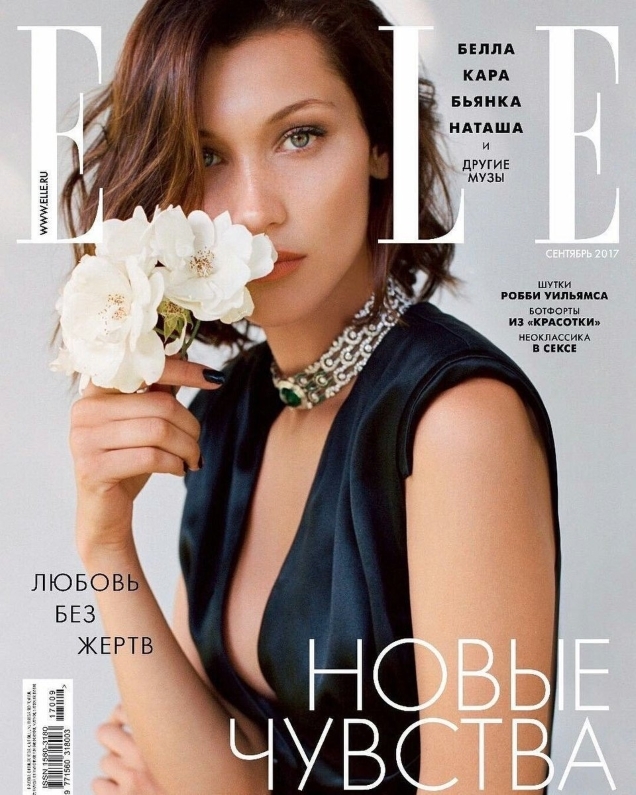 Given her immense success this year, we half expected to see Bella Hadid on just about every major international September issue. She managed to score the cover of Vogue China alongside fellow model Chu Wong and now goes solo for ELLE Russia. The magazine doesn’t receive much attention on our forums (the last time being Lindsey Wixson‘s cover in 2015) but our forum members couldn’t help but notice this month’s beautiful cover. Photographed by Ben Morris, the current face of Max Mara Accessories looks demure wearing a Prada dress and Bulgari jewels. Members of our forums seemed pleased with Russian ELLE‘s latest. “Bella definitely has a global appeal, she’s gracing covers in all the different markets, something not all of her Instamodel peers have,” noted magsaddict. “I like this minimalism but I’d rather see Magdalena Frackowiak on the cover, not an Instagirl over and over again,” added narcyza. “Wow, she looks gorgeous. I like this a lot. Simple, but beautiful,” complimented guimon. “Nice, delicate and Christian Dior-esque,” admired Nymphaea. Khyrk simply described the cover as “beautiful” and we couldn’t agree more. See more from Bella’s cover story and add your own two cents here.